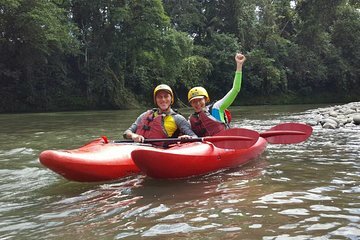 Beginner kayakers are at ease on this Sarapiqui River kayaking tour. Roll over mild class I and II rapids on your way to wildlife watching zones along the river, which runs through a biodiverse section of the jungle. You might see tropical birds, wild orchids, and more as you follow your guide along the course.